Finally, a practical handbook for primary teachers that links ELT theory to real-life classroom situations! 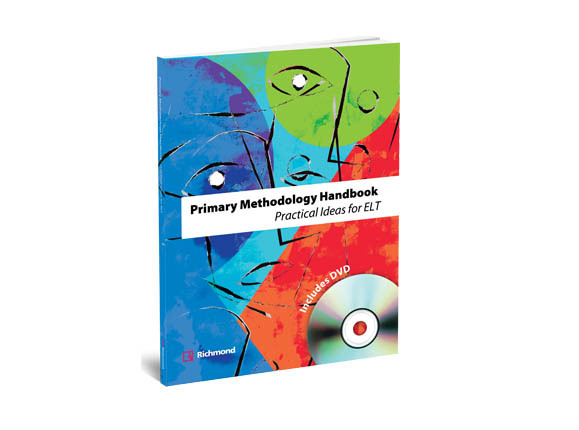 Richmond’s new Primary Methodology Handbook provides clear explanations of key concepts in a way that is accessible to new and experienced teachers alike. Finally, a practical handbook for primary teachers that links ELT theory to real-life classroom situations! Richmond’s new Primary Methodology Handbook provides clear explanations of key concepts in a way that is accessible to new and experienced teachers alike. Comprehension and reflection activities engage and guide the reader, consolidating new information and facilitating its application in the classroom. The Handbook covers essential areas of study for English instruction in primary schools.